Nintendo Switch players who are fond of seeking out high-value collectibles will find plenty to love within Splatoon 2. The game has a number of different collectibles to obtain, but none are more important than Sardinium, the ultra-rare commodity used to upgrade the game's powerful Hero Weapons. Tracking down all 37 Sardinium won't be easy; fortunately, we've put together a list of each of their locations as well as specific instructions on how to find them. Players will find most of the Sardinium with Splatoon 2 by cracking open various crates. Breaking open these crates not only provides the chance to collect the rare Sardinium, it also provides various other collectibles like the game's Power Eggs. Generally speaking, players should be on the lookout for any breakable crates. Keep reading to discover the specific locations for all the Sardinium to be found within Splatoon 2. • Sardinium #01 can be found in the Tentakeel Outpost hub area just outside of the entrance to the game's second lair. Players will see a wall that they can ink and then swim up — do so, then jump to the next platform to find the Sardinium inside an orange crate. 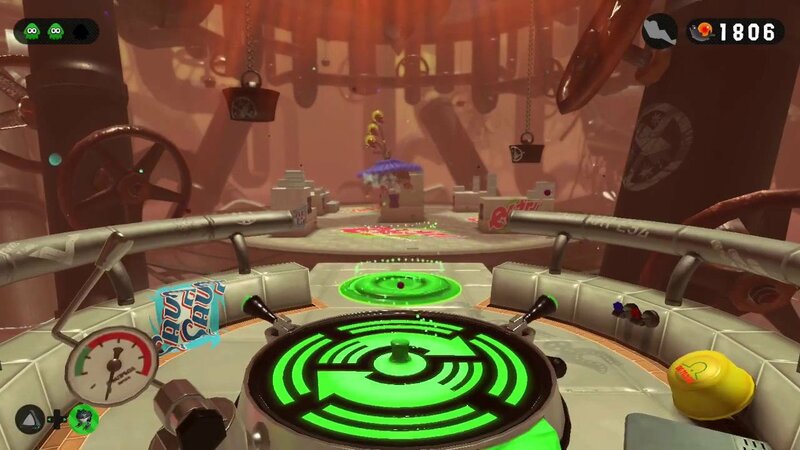 • Sardinium #02 can be located after the fifth checkpoint in Lair 1 - Return of the Octarians. 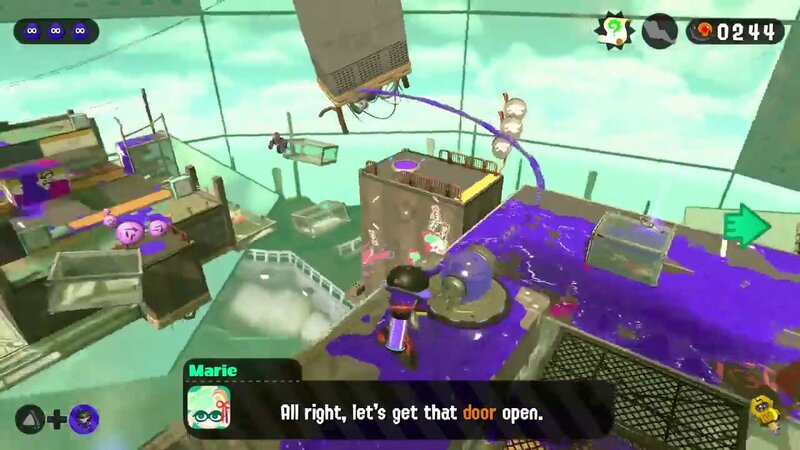 Instead of riding up to the launch pad, splat some ink on the wall leading to the top of the platform and swim up to find the Sardinium inside a crate — just be careful not to touch the launch pad. • Sardinium #03 is lurking inside a crate just after the third checkpoint of Lair 2 - Welcome to Octopia. Before launching away on the launch pad, ink a path up the wooden wall to find three crates — one of these will contain the Sardinium. • Sardinium #04 is found inside a crate within Lair 3 - Sunset Octocopter. To get it, players will first need to clear the area of Ink Pistons, then squid-jump over to the crate. • Sardinium #05 can be acquired just after defeating the Sector 1 boss, the fearsome Octo Oven. It'll be hanging out right in front of the Zapfish after the battle has ended. • Sardinium #06 can be found in the Suction-Cup Lookout overworld underneath the entrance to the sixth lair, in a tiny area blocked off by crates. • Sardinium #07 is found just after the first checkpoint in Lair 4 - Enter the Octohurler Before hitting the launch pad, look over the back edge of the platform to see a lower platform with two orange crates — one of these holds the Sardinium. • Sardinium #08 is hiding around just after the sixth checkpoint of Lair 5 - The Octopark. Jump on the left-most rail and grind it down to the end to discover the orange crate on the higher platform. • Sardinium #09 is just after the first checkpoint in Lair 6 - Octozeppelin Invasion. Fend off the Octozeppelin and jump through the hatch it came out of to nab the Sardinium. • Sardinium #10 is hanging out shortly after checkpoint 5 in Lair 7 - Back-Alley Cleanup. Activate the ride rail and slide down it to reach the glass platform at the center of the arena where a crate will be sitting. Destroy it to claim the Sardinium. • Sardinium #11 is found in Lair 8 - Spinning Camground, just after checkpoint number 2, being guarded by an Octarian with a shield. 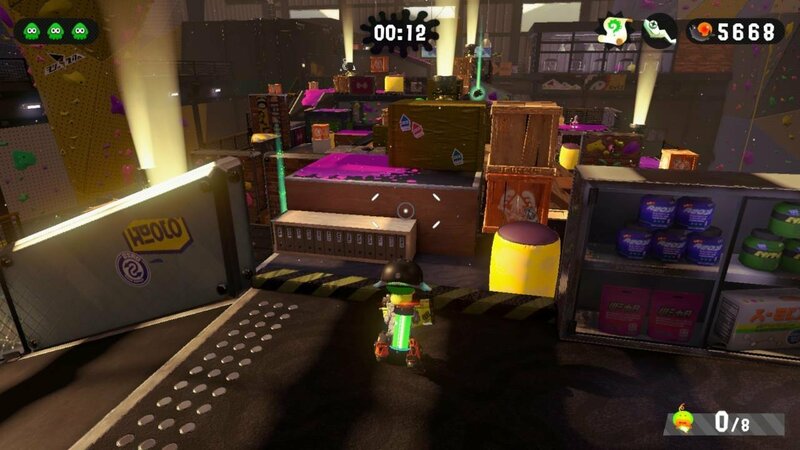 Take out the Octarian and drop down the left side of the platform to find the orange crate holding the Sardinium. • Sardinium #12 can be found next to the Octoling spawn point in Lair 9 - Octoling Strike. Paint the entire area around the bike with ink to make the crate visible. The sardinium will be inside. • Sardinium #13 can be claimed simply by beating the game's second boss, the Octo Samurai. It'll be hanging out in front of the Zapfish after the battle. • Sardinium #14 is located within the hub area of Beaker's Depot near the entrance to Lair 13. Use the nearby fan to move the platform and latch onto the Grapplink. From there, a climbable wall will be visible — cover it with ink and swim up to find the crate with the Sardinium inside. • Sardinium #15 can be found in Lair 10 - Octoseeker Shakedown, just after the fifth checkpoint. Push past all of the sponges and break down the chests hanging out behind the launch paid; the Sardinium will be inside. • Sardinium #16 is found after the seventh checkpoint in Lair 11 - The Floating Garden. In the platform-laden area filled with Tentakooks, take out the baddies in search of two separate keys. One will unlock the launch pad, while the other will unlock the Sardinium. • Sardinium #17 is located just after checkpoint 2 in Lair 12 - Octo-Resort Spring. Fight past the Flooder and swim up the wooden wall to find the Sardinium inside a crate. • Sardinium #18 is right after the first checkpoint in Lair 13 - Dancing Floors. Shortly before the launch pad, players will see a crate sitting atop a glass box. To get to it, swim on top of the moving blocks toward the launch pad, and splat ink on the wood-covered side. • Sardinium #19 can be found in Lair 14 - Parking Garage, not long after the sixth checkpoint. After defeating the Octolings, look on the other side of the black boxes to find the Sardinium in the corner. • Sardinium #20 is found within Lair 15 - Octoling Assault. Head to the adjacent side of the arena near the enemy spawn point and look for the orange crate; the Sardinium will be inside. • Sardinium #21 will be acquired after being the game's third boss, the Neo Octostomp, sitting in front of the Zapfish after the battle has concluded. • Sardinium #22 can be found just beyond the center area of Slimeskin Garrison. Activate the valve, then use the Inkfurler on the left-hand side. 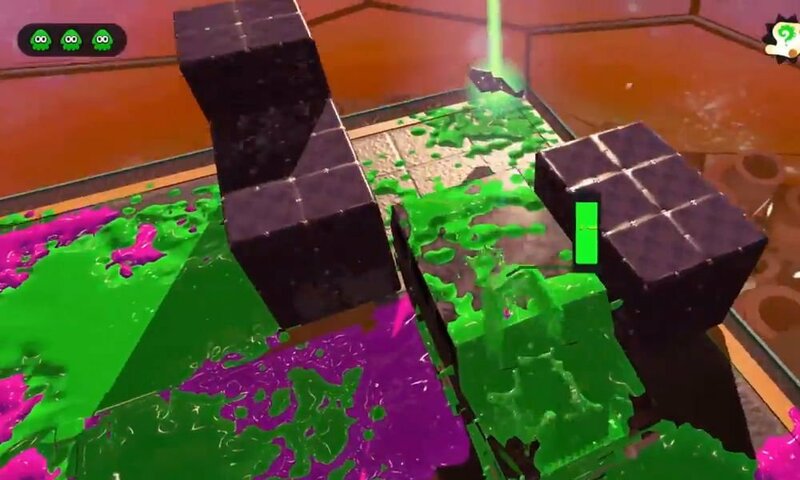 Swim to it to activate the next Inkfurler, and then jump toward it — it'll spit the inkling out right next to a bundle of crates, one of which contains the Sardinium. • Sardinium #23 is in Lair 16 - Secret Bowling Alley, shortly after checkpoint 2. Defeat the Octosniper and head past the row of Octoballers to find a metal grate. Drop through it to locate the crate containing the Sardinium. • Sardinium #24 is in Lair 17 - Octocommander Fortress, just after the first checkpoint, hiding on top of a wall near the rotating block. Ink the side and swim up to find the crate containing the Sardinium. • Sardinium #25 can be found after the fourth checkpoint in Lair 18 - Towering Heights. Fend off enemies while riding atop the moving platform. Around halfway through the ride, players will see a sponge in the center of the arena — blow it up and use it to reach the Sardinium floating above. • Sardinium #26 is located within Lair 19 - The Experimentorium. Make use of the launch pad on the left side of the arena, and after hidding the red switch, circle around to find another switch on the back side of the block. Hitting it lowers the block, allowing players to jump up and snag the Sardinium above. • Sardinium #27 can be found after the third checkpoint in Lair 20 - Propellerland. Use the fan to move the platform all the way to the end, then use the valve to propel the inkling up to grab the Sardinium. • Sardinium #28 is located within Lair 21 - Octolings Ahoy! Traverse the map and look for the enemy spawn point. Ink underneath to reveal the chest containing the Sardinium. • Sardinium #29 is obtained after beating the game's fourth boss, the Octo Shower. It'll appear after the battle in front of the Zapfish. • Sardinium #30 can be found within the Cephalon HQ hub world. Jump on top of the UFO on the left side of the central hole and ride it over to the checkpoint. 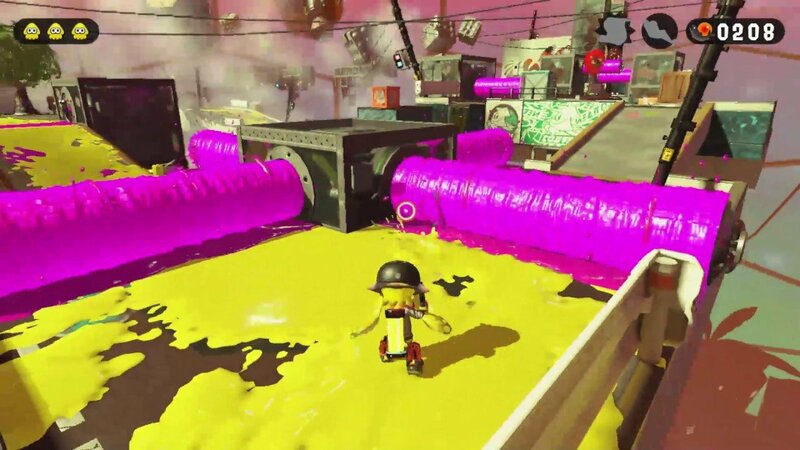 Look over the ledge and splat ink into the water to reveal a hidden platform. Jump onto it and destroy the crates to find the Sardinium. • Sardinium #31 is located after the seventh checkpoint in Lair 22 - Underground Expressway. The Sardinium is inside a vault on top of the tower, and players need to get the key to unlock it from the Tentakook patrolling the tower. Bomb him to take him out, then grab the key and unlock the vault to nab the Sardinium. • Sardinium #32 is hanging out after the seventh checkpoint in Lair 23 - The Octogalaxy. Ride the center rail, hopping to the side and back when necessary. Just before the rail cuts out, jump through the hoop to grab the Sardinium and land on the rail below. • Sardinium #33 can be found after the first checkpoint of Lair 24 - Transfer Junction. The Sardinium is behind the first moving wall and can be grabbed by splatting its back side with ink and then climbing to the top. • Sardinium #34 is hiding on a low ledge after the fifth checkpoint in Lair 25 - Platform Madhouse. Once the area's giant wall has been climbed, look over the back side to see the Sardinium floating above a grassy outcropping. • Sardinium #35 is located after the first checkpoint of Lair 26 - Paradise Lanes. Drop down onto the narrow path and follow it to the end to find a crate with the Sardinium inside. • Sardinium #36 can be found in Lair 27 - Octoling Workout. 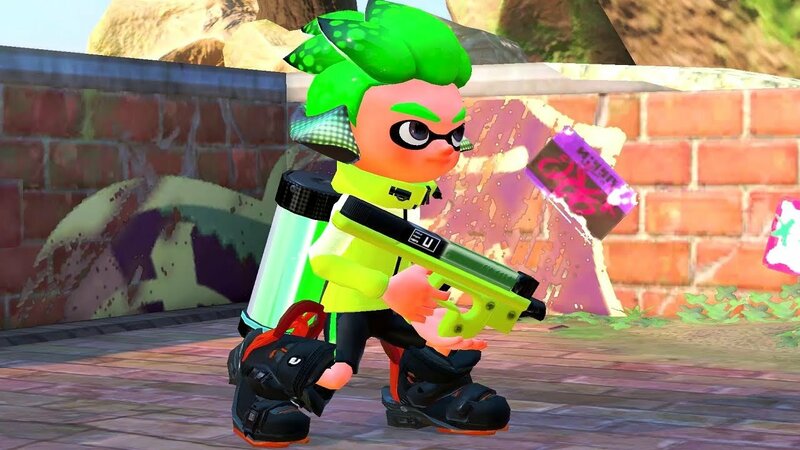 Head over to the other team's side of the arena and search for the Inkfurler. Activate it to swim to a crate located above that contains the Sardinium. • Sardinium #37, the game's final Sardinium, is given as a reward to players who have completed the game. If you've followed this guide closely so far, then congratulations! You've collected all of the Sardinium in Splatoon 2 and are well on the way to upgrading all of the game's powerful Hero Weapons. Now that you've collected all of the game's Sardinium, check out Modojo's Splatoon 2 guide hub for even more content regarding upgrading Hero weapons as well as strategies for each of the game's four bosses.